"Your own private castle on the Beach"
Bedrooms: 4 "Plus 1 BR apartment"
Bathrooms: 4 "1 is 1/2 bath"
Size: 3,800 sq. ft. "Pluse roof top deck with 360 Sea and Mt. 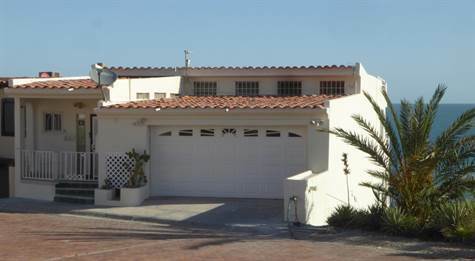 views"
Beachfront home in La Hacienda , partially furnished. 3-Story living with Stunning Water views and roof top deck with 360 views, 2 car garage. 4 bedroom and 3.5 bath home with flexible floor plan. Also a rentable one bedroom and one bath apartment with private entry and on the beach. Must see this home. La Hacienda is a Beach front gated Community with a Security gate and the Best Sea Views and Bricked Streets. HOA is only $650 Per year.